Free download Rank Tracker Latest Version. With Rank Tracker challenging SEO tasks of checking search engine positions and hunting down high-traffic keywords, which previously cost time and required SEO expertise, get fully automated! 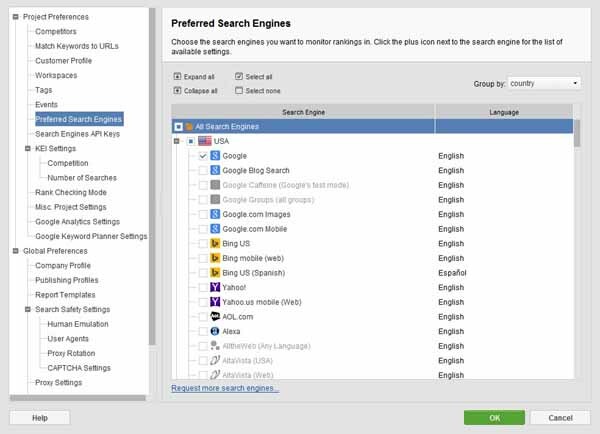 No more spending hours on manually checking your site’s positions in search engines. Just sit back and let Rank Tracker do the boring job for you. You can add up to 5 extra websites to your Rank Tracker project (10 for Enterprise Edition) and quickly check and compare rankings for them. This way you can keep a close eye on your competitors’ rankings or set side by side several websites you optimize for the same keywords. Every time you check your rankings, Rank Tracker will conveniently show you the ranking difference, so you can easily see if your site has moved up, or if it has slipped down for whatever reason.Rank Tracker keeps a daily, weekly and monthly change record to notify you where your site ranks for any search term, at any time! You can set Rank Tracker just once, so that it will run rank checks completely automatically on the set dates and time. And you may only come to look at the results whenever it’s convenient for you.It’s no secret Google rankings for the same keywords vary considerably from one location to another. With Rank Tracker, you can boost your international SEO efforts by obtaining accurate non-personalized rank data as if from different countries!